Nazis are bad. I think we can all agree on that. But what is a Nazi? I don't really know. What I do know is that they are bad. I hate them for being bad and that makes me good. And since I am good, anybody who disagrees with me is bad. Since anybody who disagrees with me is bad, anybody who disagrees with me is a Nazi. See how easy it is to figure out who the Nazis are? I think is it wrong for individual citizens to own guns. Only the police and the army should have firearms. I think we ought to confiscate all the privately owned firearms. If you don't agree with me, you're a Nazi. I am sick and tired of big business stomping on the working class, and I'm sick and tired of them charging us too much for the stuff we want to buy. I'm for the government managing the economy. I don't have a problem with private ownership of a business, but I want the government to control how that business is run. We waste too much time with competition and producing silly stuff. I want the government to step in and make these companies run right, producing goods and services that the people should want. If you don't agree with me, you're a Nazi. The government also needs to set prices for stuff. We pay too much for a lot of stuff, and that profit just makes the rich richer. The government should tell companies what they can charge for the stuff they sell. The government also ought to make companies pay their workers right. Sure, we could let the market decide what the price of something should be or what kind of wages a company should offer, but that's not fair. If you don't agree with me, you're a Nazi. I am all for free speech and that amendment thing that gives it to us, but I'm pretty sure the guys that wrote it didn't mean that anybody gets to say anything they want. I mean, there are people out there that are STILL questioning climate change, even though the government is spending billions of dollars to fight it. If the government is spending billions of dollars to fight something , it must be real, DUH! And Al Gore got an Oscar! They don't give THOSE out for crappy movies! I think the government ought to regulate speech and only let people say things that are true, and I think the government should decide what is and is not true. If you don't agree with me, you're a Nazi. In fact, there are a lot of people out there that scare me. The government has been telling me about them for years, groups like the NRA and evangelical Christians and homophobes, and people who hate immigrants. They ought to be rounded up and put to some productive work rather than letting them infect society with their lies. We could get them all in a single place where the government could keep an eye on them and at the same time get some good out of them for once by forcing them to work on useful things, like green energy projects. If you don't agree with me, you're a Nazi. I wish we could get done what President Obama proposed when he came to office and create a domestic security force as big and as well-equipped as the armed forces. I don't know if I trust the army to follow presidential orders, but a Security Staff would, if we recruited the right kind of people. Only a Nazi could oppose the creation of the Security Staff! So. Nazis are bad, and everyone who disagrees with me is bad, so every one who disagrees with me is a Nazi. And I can prove it with a Venn diagram, so it has to be true. I feel pretty good about myself right now. I'm going to go get some pie. Last edited by Red Square on 8/1/2016, 2:51 pm, edited 2 times in total. REASON: Somebody has been editing my post and adding stuff to it and junk. Be careful, or I might have to call you a Nazi. I detest people who resent our expansionist tendencies and who are too blind to see the need for a little lebensraum. Anyone who opposes our takeover of Central and South America (and eventually Poland) is a Nazi and should be reported immediately to the Security Staff. Nazis are bad. I think we can all agree on that. But what is a Nazi? I don't really know. Nazis are Republicans. Hitler was like their leader or something back in the day. Well, of course the Republicans are Nazis. I disagree with them. I could say that the moon is made of dog droppings. You could reply, "No, I don't think it is." That would make you a Nazi. Question - If Dear Leader had previously denigrated a Party Member and that information was reintroduced into the current news cycle by those that wish to muddle the faithful's worldview am I to assume that condemnation has been abrogated by something better? Biff, since I didn't understand what you were trying to say, I must conclude that you might be disagreeing with something I think, and therefor, just to be safe, I'm going to have to call you a Nazi. I saw it on a Facebook meme. Case closed. Biff, since I didn't understand what you were trying to say, I must conclude that you might be disagreeing with something I think, and therefor, just to be safe, I'm going to have to call you a Nazi.At one time Shrillary was deemed to have been guilty of being "one of those people" and look where she is today. I can take solace in the fact your condemnation will not have any lasting effect on my bright future in the world of Next Tuesday. Thusly earned not-Nazi status, I say: round up and frog-march the pack to Umiat CCCP facility ! ● contributes to TPC, The People’s Cube — NNNNNaaaaaaaaaaaaazzziiiiii!!! haihitla!!!!! Nazis are bad, you shouldn't be a nazi. If you are one, you're bad, because Nazis are bad, mmkay? It's a bad thing to be a Nazi, so don't be bad, by being a Nazi, mmkay? That'd be bad, 'cause Nazis are bad, mmkay? You're right, Other Ivan. It is kind of Pinky-esque. I think we need an awareness ribbon. My shirt is already covered up with all the others, so I think this one needs to be an armband instead. Maybe a red band with a couple of black stripes top and bottom and an emblem of some kind in a circle on it. OOOH! I Know! Those evangelical Christians are Nazis, so we could take one of their cross-thingies and maybe bend the points of it over like ninety degrees to show how much we hate them for being Nazis! And while I'm here, thanks, Red Square for the graphic addition to the original post. I didn't know that you had a photo of me piloting my Prole Transportation Unit. SMO fixed me up with a fresh necro-proxie and then Other Ivan wired her up with some spare parts from the Tractor Shed. That's me up there under that big floppy hat. Betinov, I'd gladly give you Beet of the Week for your Pinkie-esque piece of work, but I just got back from Jiffi-Lobo™ , where I went in for the post-DNC "I'm With Her Special" to purge the Bern from my system and receive the latest Party Talking Points in the form of an implant. As a result, I'm unable to say anything positive about anyone, not even Hillary. All I can do now is bash Trump. Trump is unfit to occupy your jar. Trump doesn't even have a brain. What you did isn't Pinkie-esque, it's Melania-esque in that you plagiarized it and I'd whack you with my shovel for it, except thanks to Jiffi-Lobo I can now only whack people in red hats that say Make America Great Again. And it's painful because you know how sexually attracted I am to guys in red hats. This is all Trump's fault. Trump ate a kitten for breakfast this morning. Trump pulled the ears off a bunny rabbit, and then he pulled the wings off a butterfly and the bushy tail off a squirrel, possibly Captain Craptek. Have you gone in for yours yet? (the Jiffi-Lobo, not the bushy tail) If you haven't, you're a Nazi. Just like Trump. Trump is a dangerous criminal. Last edited by Red Square on 8/3/2016, 12:53 pm, edited 2 times in total. REASON: Bugs, or maybe just features, of the DNC-issued Trump-bashing implant. And I keep hitting the Save and Upload buttons! You know Nazism, as an ideology, might be the most efficient. Nazi Germany went from poverty to a superpower over only 20 years and only failed because of diplomatic mistakes by autocratic dictators. Imagine if we remove the genocide (because it's immoral) and replace the racism with a desire to spread freedom or something(my friends tell me that's America). Anyway, I'd prefer to retain my personal liberties and comforts. anybody who disagrees with me is a Nazi. If I agree with you, can I still be a Nazi? Quite the interesting conundrum, Clara. If I say you ARE a Nazi, and you agree with me, then yes, you can be a Nazi. If I say you ARE NOT a Nazi and you disagree with me, then yes, you can be a Nazi. If I say you ARE a Nazi and you disagree with me, then you are obviously a Nazi. But if I say you ARE NOT a Nazi and you agree with me, then you can't be a Nazi...unless you are lying, then you are a Nazi. Thank you Comrade Betinov for the clarification. then I [Betinov] slyly add : but SUPPOSE you WERE a Nazi ..
.. here your [Betinov's] interlocutor goes of course full bananas (or ballbustish or whatever) in disagreement, whereupon you [Betinov] solomonically conclude : See, I told you so — you Naaaaaaaziiiii ! P.S. In case of Comradette Clara — just look at her phrasing : "If I agree with you..." ! IF ? IF ??? do I hear DOUBT in that ? Naaaaaaaziiiii ! Hail The Many Titted Imperial Empress, Hail Pinky, Long Live The Cube! With all due respect and our thanks to Nick Gillespie, Trump's claim about a video with the ransom cash to Iran was fairly quickly supported by a surfaced Iranian documentary from way back. And even if it hadn't surfaced, Trump's mention of that video was not nearly in the same category of deliberate lies and misrepresentations that are coming from Hillary and Obama. A reasonable sense of proportion is sort of expected from a publication named "Reason." A media quiz for Trump supporters. If you fail to get 12/12, you're a Nazi. If you get 12/12, you're an absolute Nazi. Are You OCD Enough to Pass This Minute Detail Quiz? Do you pay attention to the most minute details? Are you annoyed by even the tiniest inconsistency? 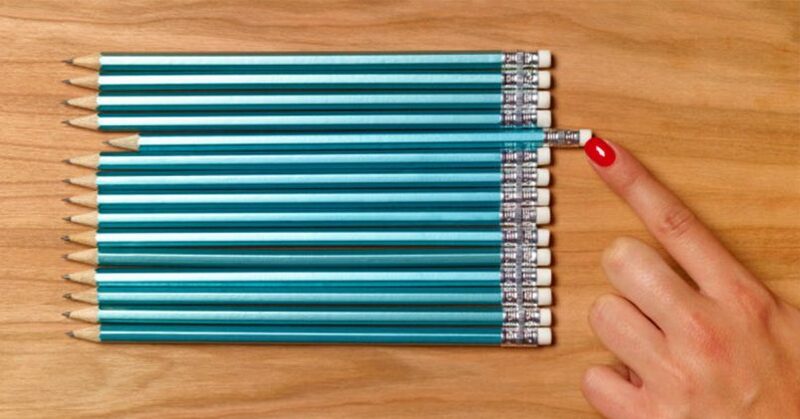 How much of a perfectionist are you? Take our quiz to find out! You’re not a perfectionist at all. Either you’ve got pretty bad eyesight, which we’re not blaming you for, or you just didn’t care enough to pick out the differences in these images. That’s OK, though! We’re sure you have lots of other talents. In this classic movie from 1980 we see that history is still repeating itself (perhaps because we choose to erase instead of learn it). I am stunned at the prophetic comment right off the bat at the .25 mark where head nazi tells of Soros using BLM. Obama just gave a speech, where he channeled Ivan Betinov. Obama on Trump: How hard can it be to say 'Nazis are bad'? Life imitates the People's Cube. Obama continues to be the smallest man in the world. Stupid Capitalist. He's the smallest Black man in the world. Never forget to play the race card. He was also Spartacus before Cory Booker was Spartacus. Remember when Barack Obama played Moses in the Ten Commandments, and collected a campaign "Donation" from everyone crossing the Red Sea after he parted it? My favorite was when he played Julius Caesar in the HBO miniseries and he told the Romans, "If you like your republic you can keep your republic. Period"